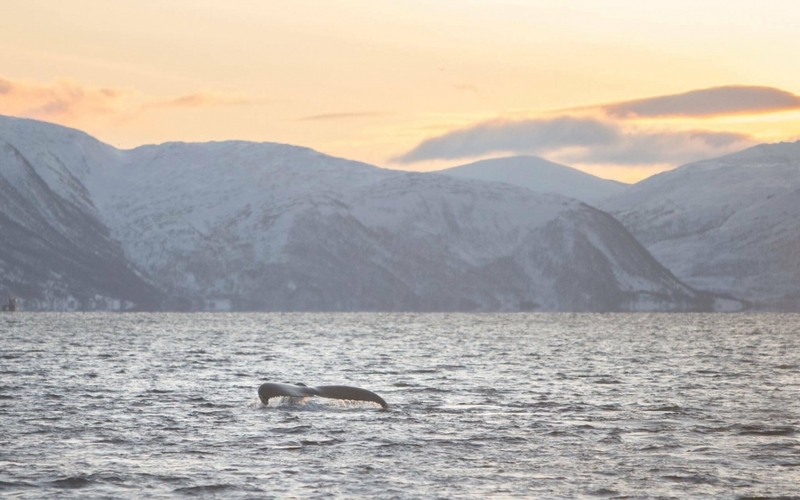 The waters near to the tiny city of Alta in Arctic Norway have recently become host to some of the world’s largest mammals - the mighty orca and humpback whales. 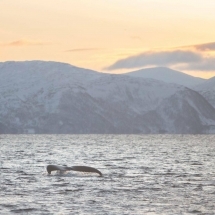 In winter, the whales feed for herring in the fjords before returning to warmer climes. 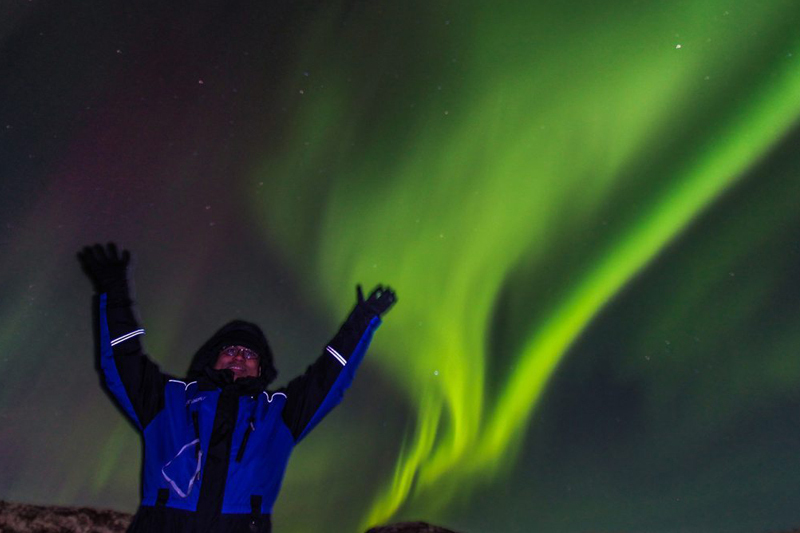 This winter short break in Alta offers a chance for a close up view of the whales undisturbed in their natural environment along with the chance to view the Northern Lights and join a hand-picked selection of small group winter adventures. This holiday offers complete flexibility and can be tailored to your requirements. This trip is available between late October and early February. On arrival to Alta Airport, a local guide will meet and greet you and transfer you to your hotel, a drive of around 15 minutes. 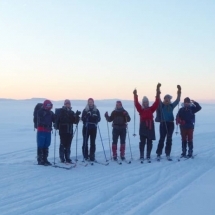 You’ll stay at the modern Nordic Thon Hotel which is convenient for excursions and exploring the city which sits at the innermost part of the Altafjord close to the mountains of the Finnmark region. Alta is compact with just 20,000 residents but its downtown area offers a selection of restaurants, an impressive Northern Lights cathedral and swimming pool. During your stay you’ll have unlimited access to Magnetic North’s travel app which will give you all the recommendations you need to help fill your time in the city. 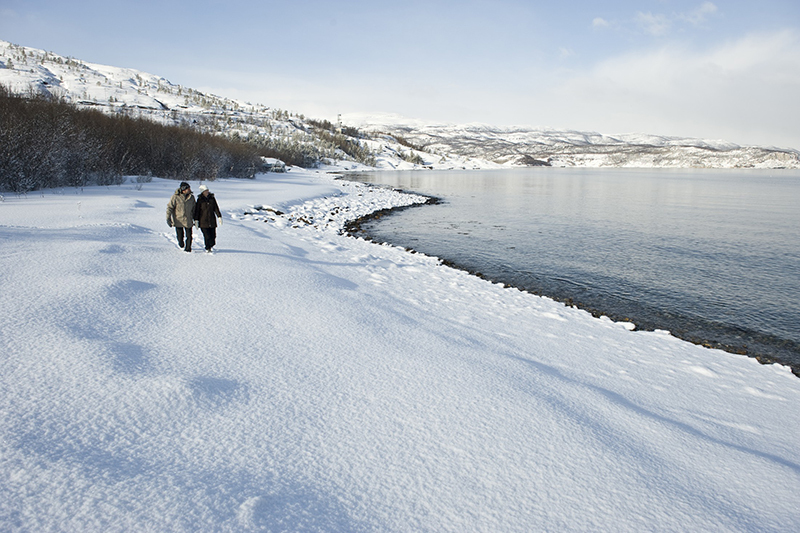 Thon Hotel Alta is situated in the centre of the town and many of the rooms offer views over beautiful Alta Fjord. It is also connected to the Alta shopping centre for those in need of some retail therapy! 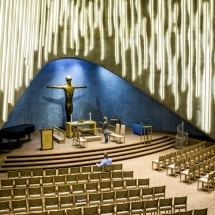 All 148 rooms are modern, spacious and brightly decorated. Meals are served in the hotels pizza restaurant – Peppes, where a buffet breakfast is offered along with Italian inspired lunches and dinners. There is a handy tea and coffee station on each floor and free wifi access throughout the hotel. As a guest of the hotel you get discounted entrance to both the Nordlysbadet aqualand, a great public swimming pool situated close to the hotel, as well as the fitness centre Spenst in the shopping centre. Your day begins with a hearty breakfast before transfering to the harbour which is an hour away by car. Your whale watching adventure takes place on board an open RIB (rapid inflatable boat) which causes minimum disturbance and allows a close-up view of whales and wildlife. 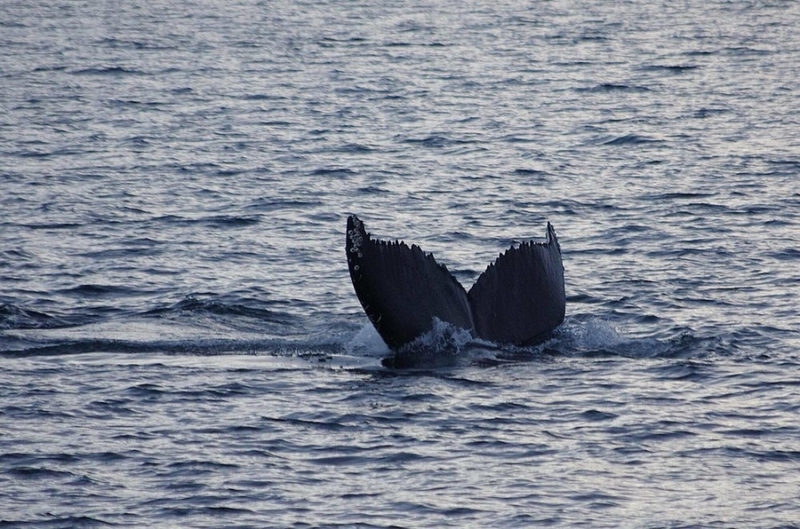 This tour brings you to the whale feeding ground where you’ll spend some time trying to spot the fin or tail of a sea mammal. If you’re really lucky you may experience a full breach when a whale takes a spectacular dive above the surface of the water. 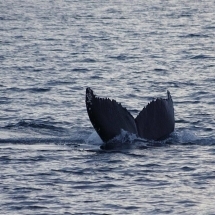 The most common sightings are of the humpback whale, killer whale (orca), harbour porpoise, and occasionally the fin whale. Although sightings are never guaranteed, you’ll have a memorable day on the water enjoying the peace of the Arctic coast. You’ll return to Alta in the late afternoon. If you’d prefer to travel on board a closed boat, this is also possible and we will recommend the best tour according to your preferences. 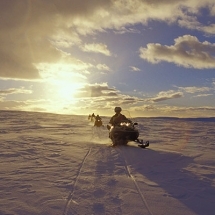 Your adventure in Arctic Norway continues with an exciting day trip by snow mobile on the wild Finnmark mountain plateau. 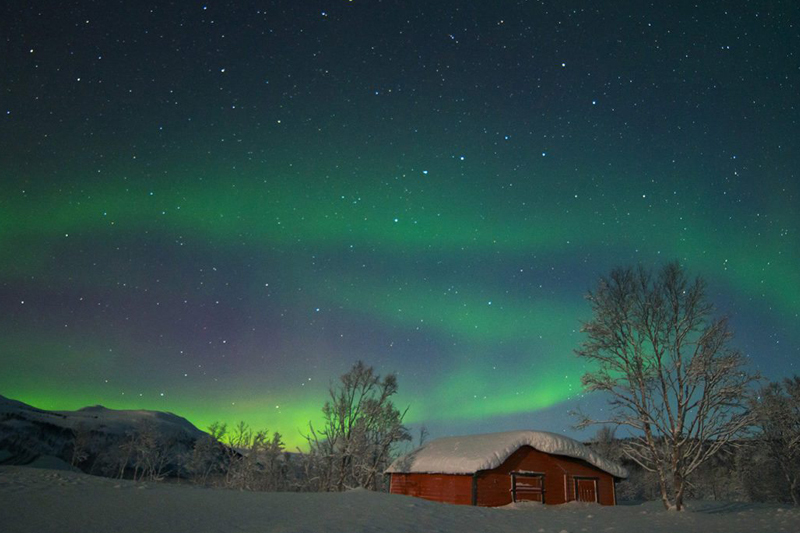 You’ll head to Gargia Lodge - a quaint cabin which was once part of the old postal network in Northern Norway. 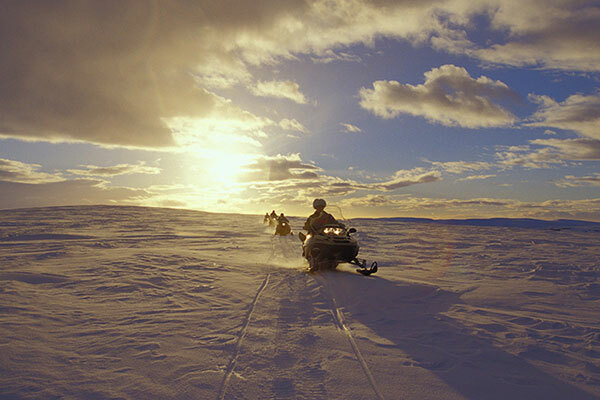 During the snow mobile tour, you’ll cross frozen lakes and pass nomadic Sami settlements. At the halfway point you’ll enjoy lunch at another lodge before returning. This is an active full day adventure taking you to remote locations far from civilisation in a group of up to six guests. 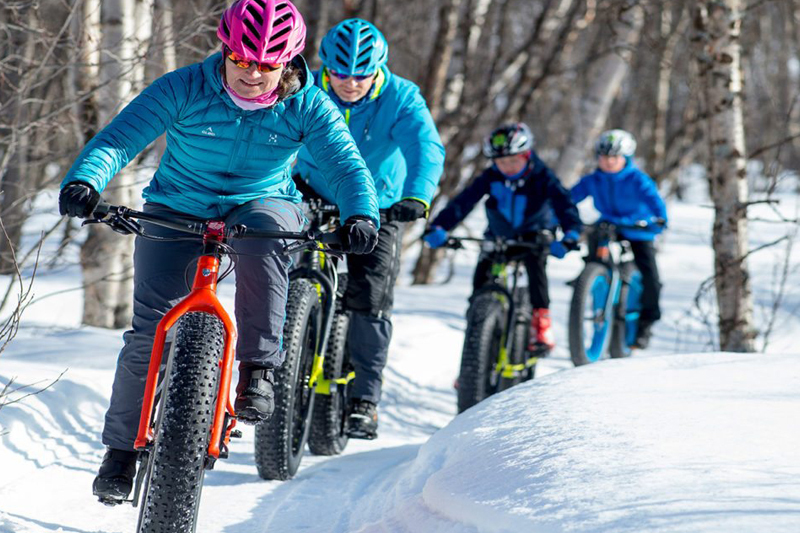 You can share a snow mobile or drive solo (additional cost). In the evening, relax in Alta with our recommendations for places to eat out. 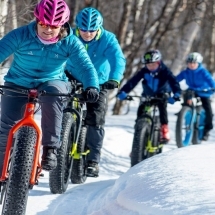 The wilds of the Alta region are calling once again and today you can join a typical Norwegian adventure choosing between an ancient cross country skiing tour or a more modern fatbike adventure. 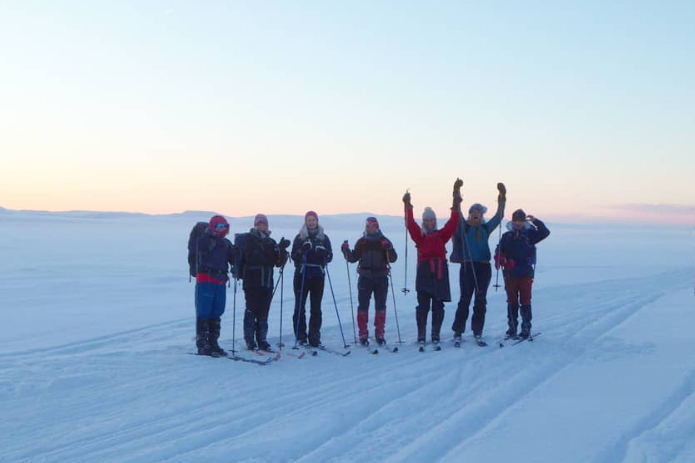 Both are led by local guides in small groups and immerse you into the snowy wilderness of the Alta region. No previous experience is needed for either activity and the emphasis is on fun and adventure. 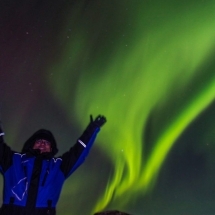 In the evening, depart into the night and search for the Northern Lights in a small group. This adventure by road will give you a great chance to spot the Aurora Borealis away from the light pollution of the city. Your guide will check local conditions and head in the direction of cloud free skies - whether by the coast or inland towards the border with Finland. 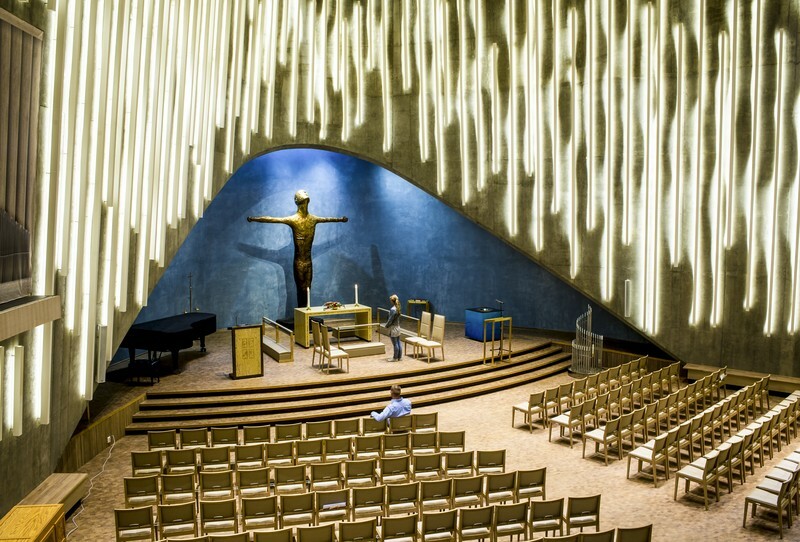 The tour will give you the chance to learn how to photograph the lights and discover more about this incredible natural phenomenon. Sadly it’s time to bid farewell to Alta. 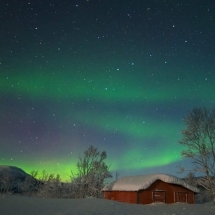 If you’re not ready to leave, then why not extend your stay with a night at Sorrisniva Igloo ice hotel or perhaps enjoy a stay at one of our wilderness lodges or husky farm. 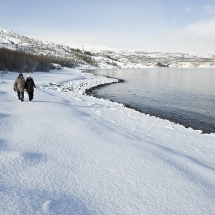 Additional excursions include husky sledding, Sami reindeer herder meetings, snow shoeing and ice-fishing. This trip will be custom-made to your exact requirements, please get in touch with our team who'll be happy to help.